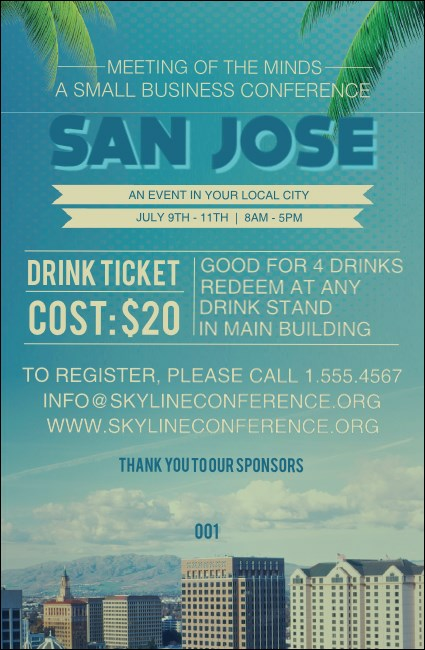 Make a capital effort to make your guests comfortable at your next event in the Capital of Silicon Valley when you print San Jose Drink Tickets in advance. These beautiful blue tickets feature a clear sky on a sunny day with the image of the city’s downtown skyline and Mount Hamilton rising behind it. Find the right ticket for your Silicon Valley event at TicketPrinting.com.